Feel your stress melt away as you walk along Rio de la Plata, the estuary where the Uruguay and Parana rivers meet the Atlantic Ocean. Known for its churning, muddy waters, the estuary serves as the final drainage point for a staggering amount of water from across South America. You won't see much in the way of tourist attractions as you stroll, but the area makes a great place to clear your head among pleasant nature. Put Rio de la Plata into our Colonia del Sacramento online route maker and find out what's close by, where to stay, and where to head next. The river that is sea! So beautiful. Largo, fort that Orna and all the way to Colonia Sacramento. The RAMBLA is well preserved has stretches to walk or simply sit and enjoy. 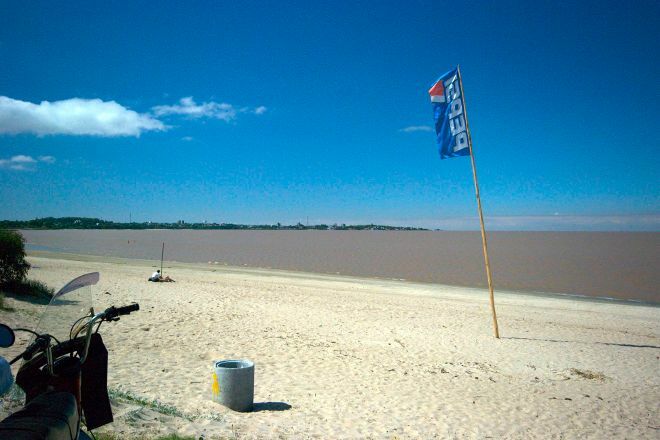 The famous Rio de Aguas color Leon, is offered without reservation as a landscape from the coast of Colonia de Sacramento. It deserves the ride away and contemplate it. At sunrise or dusk the enjoyment will be full.